SEO is comprised of activities that are aimed towards improving the presence of a website in the organic section of a search engine’s results page. The ultimate goal is to rank well organically for relevant keywords with the aim of increasing quality traffic to the page. The most effective approach is one that adopts a “white hat” approach where all activities are done in compliance with the search engine’s guidelines. Google, for example, publishes these guidelines, and they outline which behaviors are acceptable and which aren’t. Keywords form the backbone of SEO. 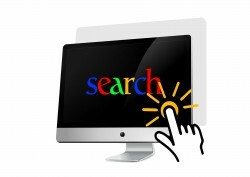 If the keywords you want to rank for are missing from your website, you’re not going to appear in the search results. For example, for a plumbing company named Fred’s Plumbing in Boston, Massachusetts, the title tag of the homepage should be “Boston, MA Plumber – Fred’s Plumbing.” The targeted keyword “Boston, MA plumber” is the first thing the search engine crawlers see. Every page of your site should be optimized following a similar method. It’s important to avoid keyword stuffing, which is considered to be a bad approach for SEO. Once a site is optimized, the next step is to earn the trust of the search engines. Trust can be established by the age of a domain, but having quality inbound links to the site also conveys it. While “old-school” link building methods, such as directory submissions, are now frowned upon, creating informative content in the form of blog posts and sharing those posts on social media to generate attention and links can earn links. While SEO is considered a long-term process because it can take time to start to see results (especially in a competitive market), pay-per-click is a more immediate way to generate traffic to your website. SEO isn’t free as it requires time and resources to execute a campaign, but you don’t pay anything monetarily to the search engines to improve an organic search presence. PPC on the other hand involves making payments directly to the search engines in exchange for a prominent spot on the search engine results page. PPC listings are shown in the “Sponsored” section of the page. Some website creators make the mistake of thinking one of these approaches is better than the other. The truth is, the best approach is often utilizing a combination of the two. SEO work will improve an organic search engine presence over time, which is important because that section of a search engine results page is viewed as more “trusted” by some search engine users. PPC will generate clicks while you’re working to improve your organic listing and can be good for targeting very specific searches. The key is to consider your budget and decide what the best approach is for your business.